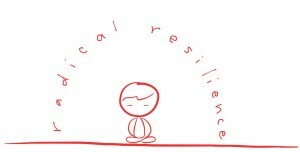 Radical Resilience Week launches with a collective deep breath. Advances in the study of neuroscience have clearly shown a link between deep breathing and personal wellbeing and good health. In recognition of World Health Day and to kick off Radical Resilience Week, TEDxHappyValley organisers and MindUP are encouraging Hong Kongers to stop and take a collective deep breath at precisely 12:00 noon on Sunday, April 7 at Olympic Square in Hong Kong Park. This action is both simple and powerful. The increased oxygen circulating in the brain lowers levels of cortisol, the stress hormone, and increases the levels of serotonin and dopamine in the body, the things that increase positive feelings. This is a reminder to do something good for your body, and can you imagine a collective de-stressing of Hong Kong? *Elaine Dundon, MBA, author of the acclaimed book, The Seeds of Innovation. We welcome parents, teachers, health care professionals and students. Hong Kong Green Drinks is an informal monthly opportunity for anyone interested in CSR, social / environmental justice, sustainable development etc to meet, chat, and network. How do you ensure you remain competitive as a business, that your employees are engaged and and that you have a positive impact on the communities around you? In today’s economic climate it’s ever more critical that innovation is central to all aspects of an organisation, from its products and services to its dealings with the public. In this intimate fireside chat, Dr Elaine Dundon and Alex Pattakos will share the power of innovation and how to inject this through every aspect of yourbusiness. Micro-Resilience: Small ways people are creatively changing their world. A free walking tour of the vibrant lane ways of Tai Hang – art works in themselves, embellished into micro-galleries, that celebrate a uniquely resilient but rapidly changing neighbourhood. Tiny representations in overlooked spaces will feature artists around the world who challenge the way we might react, and shine light on an alternative way of seeing. Participants will be encouraged to explore using torches to investigate crevices, cracks, micro installations that creatively bend and change the rules and perceptions of our world. Keep up with all the action during the week!